These candles are our personal favorites. 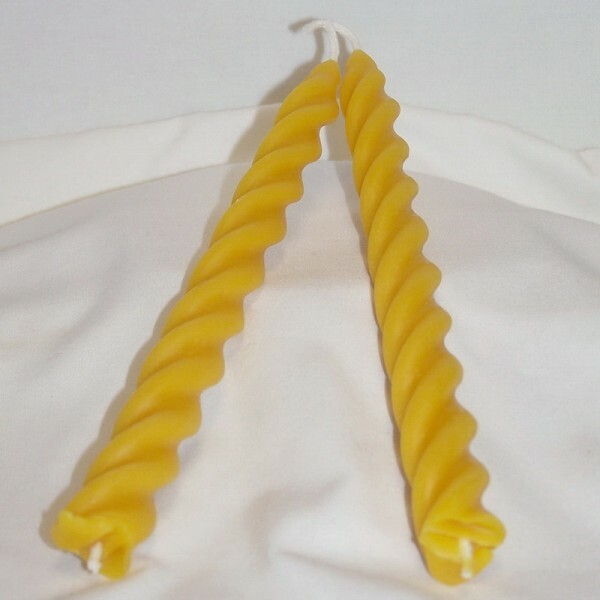 They are seven inch tapers and look lovely in candle holders. They smell beautiful as they burn. These tapers are sold in pairs of two. The wax is unfiltered and still has flecks of propolis from the hive!